Chef Craig Strong anticipates opening his new restaurant, Ocean at Main, by October. Photo courtesy of Ocean at Main. 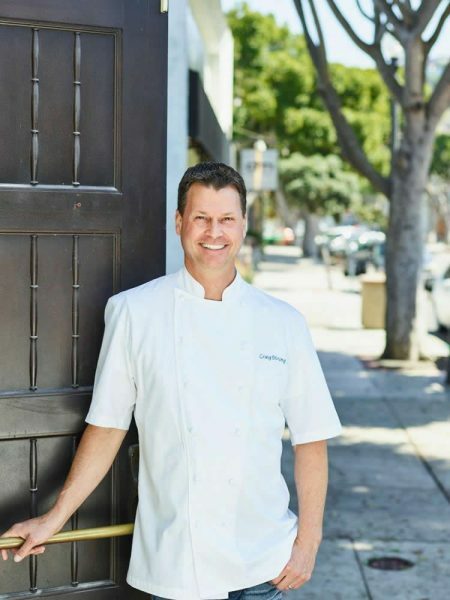 After serving nine years as executive chef of Montage Resort’s award-winning Studio restaurant, Chef Craig Strong will be opening his own restaurant, Ocean at Main, in downtown Laguna Beach this fall. Located in the historic 1940s building that housed Laguna Federal Savings and most recently Taverna restaurant, Ocean at Main is slated to open by October, according to a statement released this week. The restaurant will be open daily for lunch and dinner. Strong, who lives in Laguna with his family, will spearhead the rebranding of the 126-seat, 4,500-square-foot Ocean at Main. The restaurant, which underwent a $2 million renovation when it became Taverna, will get a makeover from Laguna-based Laurie Alter of Tuvalu Home. Dylan Cloughen, who worked with Strong previously, will serve as general manager. “The historic building’s structure and existing Mission Craftsman style will remain, like the prominent wooden beams, trim and cabinets,” restaurant officials said, adding that Tuvalu will add some coastal-centric flair to the restaurant. Strong’s menu “will continue to support the local agricultural community and regional purveyors” he has worked with over the years, according to the release. The seasonal menu will pay tribute to his French mentors like Paul Bocuse, while implementing a lighter approach that showcases California’s fresh seafood and farm-to-table produce. The menu will also include flatbreads, making use of the kitchen’s existing pizza oven. Ocean at Main is located on 222 Ocean Avenue, Laguna Beach.